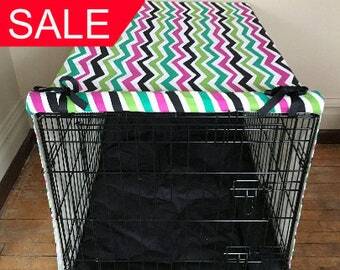 This product is finished and will be promptly shipped 1-2 business days after purchase. Dry Clean only. 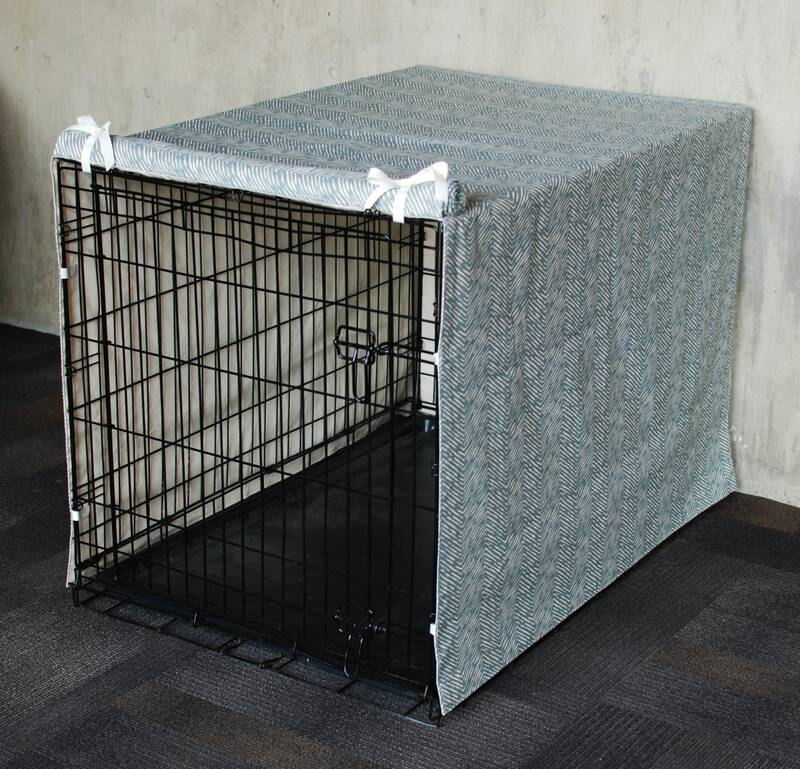 This cover is made from 100% upholstery cotton and washing it may distort the fabric. Spot treatment and ironing on medium heat is okay. If you see any lined markings on your cover, please note that they were used for precision when making your cover and will wash out. ** Please note that KoveredUp does not offer refunds or exchanges, and is not responsible for any issues that arise from any cleaning of this product. 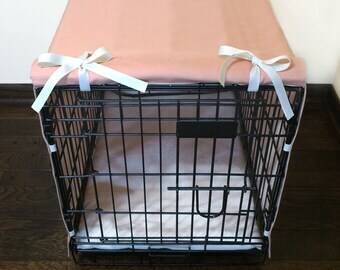 Love love love this crate cover! Fits amazing...looks so stylish! Very happy with the purchase. Thank you! It fits perfectly! 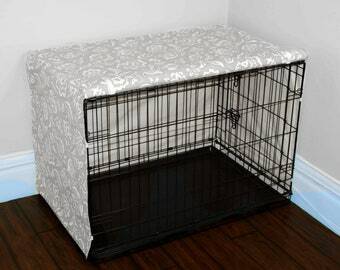 Our Great Dane has a huge crate now has a pretty, new bedroom. Makes the crate look so much better! Perfect! Great quality, beautifully made and received as agreed upon. I will gladly accept returns or exchanges on pre-made or standard orders. Returns or exchanges are not permitted with custom orders, unless there is a mistake on my end, as I am only human ;) However, I am glad to repair any mistakes made by the customer for additional labor fees. Exchanges: If you would like to exchange an item, you are responsible for shipping of the original item back to KoveredUp, as well as the shipping of the new item to you. Returns: If you would like to return an item, you are responsible for shipping of the item back to KoveredUp, as well as the shipping costs for the original item. Refunds will be given in the amount of the item, itself, minus shipping costs to KoveredUp. Cancellations: If you order an item and I have not purchased the fabric or began working on your order, a refund is available. Internet colors may differ from actual fabric colors. Feel free to contact me if you have any questions or concerns! It typically takes 1-3 weeks to ship out your custom order and 1-3 business days to ship out pre-made items. If you need something sooner than later, please contact me and I will do the best I can to get it out to you! Can I use the long side as the door? Absolutely! All of the custom covers can be customized to fit your needs. You can either add the longer side door as the only door, or add it as an additional door to bag able to use both. 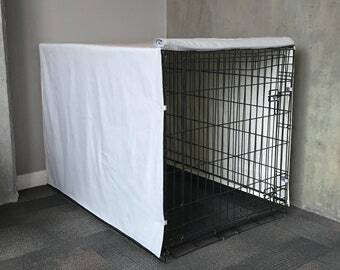 Simply go to the Upgrades listing here found in the “crate covers” section in my shop (https://www.etsy.com/listing/468642337/upgrades-for-custom-crate-covers) and add it to your order. Yes. 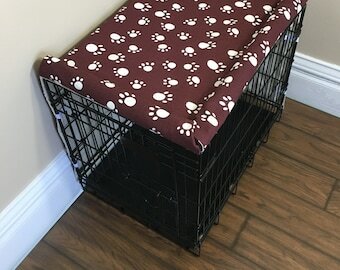 All of the bed covers and crate pads are machine washable. It is recommended to wash on delicate and tumble dry low. Are the crate covers washable?